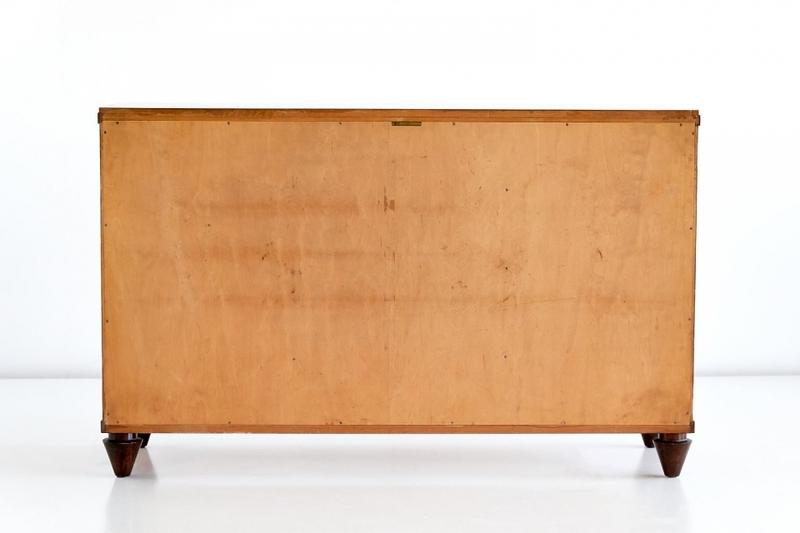 This sideboard was designed by Axel Einar Hjorth and produced by Nordiska Kompaniet in 1936. This rare model was part of a furniture range named “OK” which included dining chairs and a dining table as well. 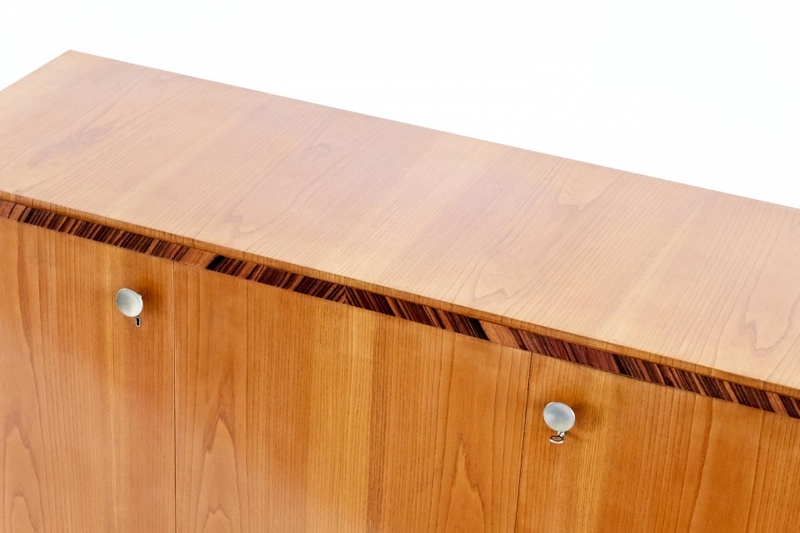 The cabinet is executed in an elmwood veneer with a contrasting edge trim in Macassar ebony. The tapering cone feet are made of stained solid birch. The particularly striking manner in which the different wood types have been combined is exemplary for the craftsmanship and precision of Axel Einar Hjorth’s furniture. The sideboard is marked twice: a circular NK plate placed on the interior of the left door and a second tag indicating the identification number placed on the backside. The two locks, placed under the door knobs, can be used with the same key.